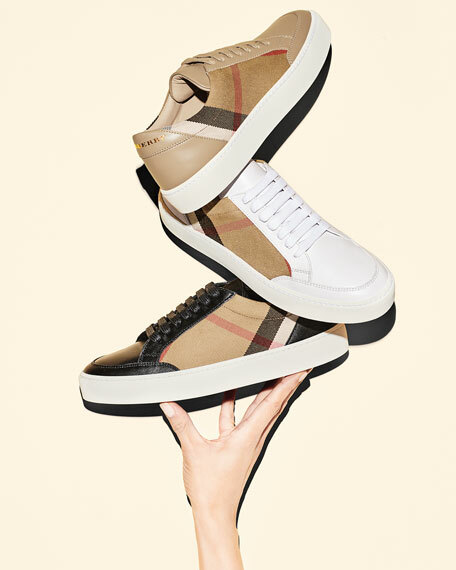 Burberry check canvas and leather low-top sneaker. "Salmond" is made in Italy. For in-store inquiries, use sku #2206964. 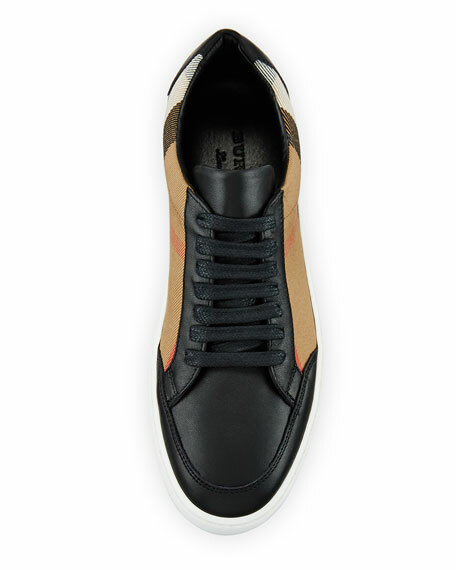 Burberry sneaker in cheetah-print calf leather. 2" platform wedge heel. Reinforced round toe. Lace-up vamp with logo grip-strap. Rubber outsole. 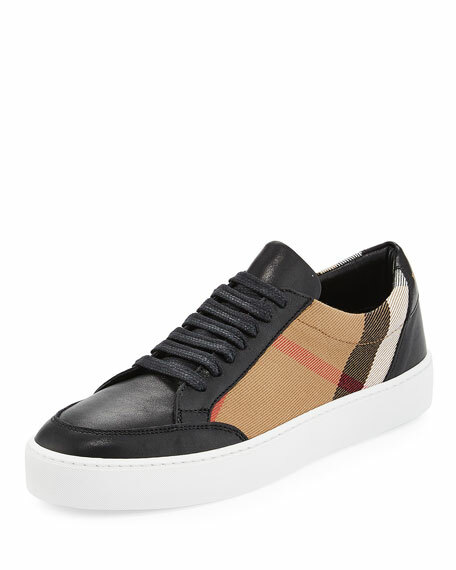 Burberry sneaker in cheetah-print calf leather. 2" platform wedge heel. Reinforced round toe. Lace-up vamp with logo grip-strap. Rubber outsole. Made in Italy. 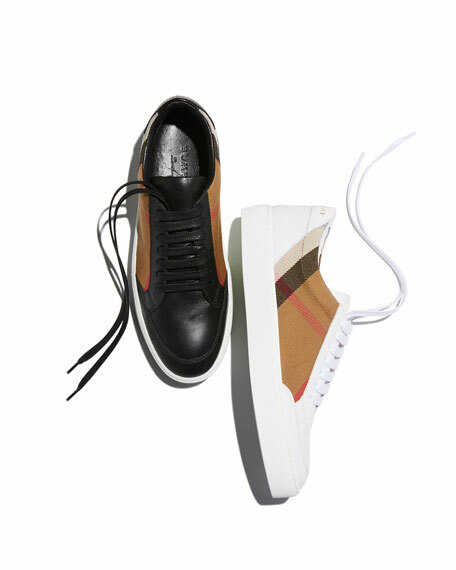 Burberry check canvas and leather sneaker. 1" platform heel. Reinforced round toe. Lace-up front. Padded suede collar with logo. Leather lining. Rubber outsole. "Salmond" is made in Italy.